SurveyMonkey Apply is an online application system. Of surveys. They get you the job done. You get the answers that you need and as a consumer you won’t be dissatisfied while participating. It is quick, fun and effective. I will %100 recommend! I honestly love this platform. It might seems a bit unprofessional but don’t be fooled this will get you the job done and will get people involve. Anytime I needed to develop a survey I used it and I was always satisfied. As a participant it was always easy and quick. "Fun App for Many events!" Survey Monkey is a fun way to sample question any kind of audience or classroom. It is easy to set up questions and answer choices, a timer, add pics or colors, anything! There is ant a lot I don’t like. My only issue is if we happen to have a bad internet connection or if you are using a very large group, it may slow down just a bit but not enough to deter my use of the app. A lot of fun for students and parents alike, but also good tool for actual educational tool. Getting a quick and immediate response is a great solution in a school environment for use in parent events, engaging individuals and getting feedback to what has been presented or what they would like to see. What Grant Management solution do you use? The best features of SurveyMonkey Apply is the easy of use for new customers and users. The dashboard is easy to understand and even with new members, it does not take long to learn how to use the software and learn how to personally customize it to your own needs. There are great features that help you stay up to date in your projects and the customer service is very efficient in terms of taking the feedback they receive and doing everything in their power to update and help figure out the best solution for any individual problem. The thing that I do not like about the program is that at first it does take a while to figure out how to use the site, due to the large amount of options that are given in order to fit everyone's needs. However, there are many training videos, sites, and customer service that is over the top and willing to help anyone having issues at first with learning how to use the software to its best ability for your current needs. It is also a bit difficult to figure your way around all of the different options that you have and figuring out what fits best for your current need. I definitely recommend spending some time learning your way around the program so you can have the best suited solution to your current needs. The software is worth every penny because it is surprising how much you get for a low cost. It has a very wide variety of options in order to fit any business or personal need. It has a good service for the client that could have a company with this product, counting on an easy access, very useful and they work until finding the desired solution for the client. It is suitable for any application, since you can build your own application and customize it according to your needs. Offering our applications has an additional cost, in addition to consuming too much time in wanting to put it in another language. The access system has a lot of flexibility, and this makes it easier to personalize applications as they wish. Good platform, with great capabilities and many services to offer users. We have a program able to track all applicants and collect demographic data and thus have a better view of the community we serve. In SurveyMonkey Apply for the user it is very simple to create an application. "SurveyMonkey Apply is an amazing benefit." The learning curve is a little steep, if you've never worked in software like this before I would recommend watching a few tutorial videos before diving right in. WATCH TRAINING VIDEOS. I cannot stress this enough. It's super intimidating to dive right into this if you've never worked with this product before. It streamlines our workflow. Our company takes submissions from multiple users/applicants with different branding and the software makes accomodations for all of this, keeping everything organized and making our lives just a bit easier – and our clients happier. "Excellent SurveyMonkey Apply for business!" I especially like to use SurveyMonkey Apply for its easy to use style and instant reply features for business applications. in my field at work when I have issues that need clarification and reviews. It is fairly simple to automate the repetitive, time-consuming tasks in order to free up my time for more urgent matters that I need to immediately attend to for my business. Sometimes follow up questions and responses are need in order to gain additional insight and opinions so a second SurveyMonkey Apply follow up is necessary to gain the best and most useful information when seeking the most qualified candidate in a campaign for my business purposes. Many business problems are easily solved when using SurveyMonkey Apply such as people's opinions and preferences on a subject that I need to know if spending my budgeted dollars on is a wise decision or if I should look elsewhere for other opportunities. SurveyMonkey Apply helps me find candidates that fit the perimeter of the jobs that I need additional candidates for in my office. This saves me a lot of wasted hours sending out numerous time-consuming emails in order to get sufficient eligible candidates. SurveyMonkey Apply is highly customizable, flexible, and is easy to troubleshoot with the software's ability to allow the administrator to assume the role of an end user (and see the issue in real time as it occurs). The onboaring process is great, but you really have to take the training seriously, ask question, and make sure you're comfortable before taking control. The learning curve for SurveyMonkey Apply is steep to say the least. I wouldn't categorize Apply as intuitive, although it is managing with training and you'll gain comfort with the software the more you use it and learn the system. While the software is highly customizable, there were a few limitations were had to develop custom work-arounds for, but I feel the blame partially rest on our shoulders in that we wanted the software to conform to our processes when it should've been the other way around. 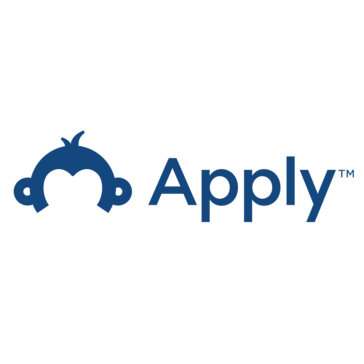 SurveyMonkey Apply is a great tool for those in the higher education industry looking for a way to simplify their application processes both for applicants and for those receiving and processing the data. We were attempting to save money on time and resources by allowing a single, central platform to connect with applicants, and Apply helped us realize that goal. While we don't currently use the Apply due to a downsizing/cost-savings initiative, it was a great tool when we had it in our repertoire. "SurveyMonkey Apply makes award review amazing "
My experience with SurveyMonkey Apply has been great, During my work, I use to get to evaluate a lot of applications for scholarships and the process was very tedious but when we implemented SurveyMonkey Apply the life became easier for us. All the documents were clearly organized and helped us do all they ranking and comments on one platform which saved us a lot of time and resources. The thing we disliked about SurveyMonkey Apply was the customer service as when we initially installed the system it uses to take us a lot of time to get a response from the customer service to resolve issues and as well the training manual was not clear. Really recommend SurveyMonkey Apply to universities and NGO,s as it helps you consolidate a lot of work and save time and resources. SurveyMonkey Apply helped us save resources and time as it helps us consolidate everything in one platform and connect with the applicants. "An Easy Way to Get Results"
Ease of creating questions with pre-written suggestions. Ability to choose type of survey based on data needs. I do not have additional recommendations for SurveyMonkey. I am a big fan of the question bank. SurveyMonkey makes it easy to design surveys of varying types. Business problems being solved are client responses to services provided. We have realized greater customer service and data collection. It streamlines the hiring process. Tasks are assigned to people with deadlines to meet. There has been an increase in the number of applications received due to the ease of entering an application. It is easy to track the progress in the evaluation process. It was not an easy transitions from the paper trail process to the new SurveyMonkey Apply application. It took a good deal of time to get up to speed using the software. It could have been a bit more user friendly. It organized the evaluation process, made people accountable, and reduce the hiring time for an applicant. It reduced the evaluation time when considering a prospective candidate. It allowed for a more collaborative evaluation process, when people were not at the same location and most importantly reduced the number of potential hires missed due to the long evaluation process. I like the easy and customization of Survey Monkey, and the large capacity it has to store several surveys. I'm struggling with it's limited capacity to hold log-ins - my team continuously has to kick people off in order for new teammates to access their surveys. Very frustrating experience. Consider how many people will be using the platform in your company and adjust package type accordingly. We send surveys to participants of coaching cohorts constantly, and are able to access tons of data really easily with it. We're able to use this data to report back to our clients. "Easy Application Processing and Management"
Save on paper, time, and processing, and access applicants anywhere. It's a flexible option with great organization built into it. There is a learning curve. We had to take the time to teach a few key users how to access and there was friction in wanting to "do things the old way" after frustrations mounted. But if you deep dive into learning the software, it pays off! Follow the video training, take the time to learn the ins and outs of the product, and don't be hesitant to use their support staff. Once you learn the product, it is well worth the investment! We needed something that was accessible remotely for some staff, would keep things organized coherently and have flexibility dependent on our needs. This tool works across the board. No complaints! With automatic review assignments, each application can be randomly assigned to 3 members of the selection committee. Automatic assignments enable an even distribution of assignments to each reviewer and ensure the workload is divided fairly. The layout in some of the interfaces are difficult to navigate. 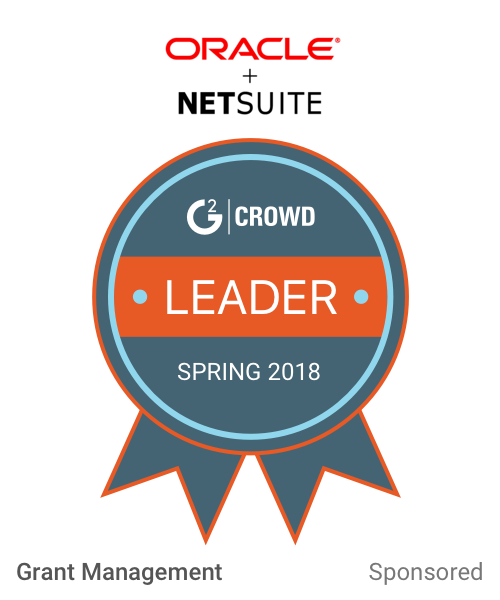 Give it time to get used to utilizing all of what Survey Monkey apply has to offer. An efficient way to administer applicants once they use Survey Monkey Apply to submit applications. Time saved by simplifying steps.
" user-friendly and highly customizable"
This software is saving paper, time, and money. This new system can be accessed anywhere at anytime. After processing paper applications for 28 years it is a nice change. I don't like that I have to send separate emails from several pages or I have not figured out how to send to all. "Great tool and Easy to Use!" SurveyMonkey Apply was very easy to implement within our company. We have multiple departments using this and it's great! I especially like that we are able to narrow down candidates with this. Using other programs, we were not able to so we had to filter through the old fashion way. I have not had any issues as of yet. Although my company pays for the services, I do believe that it is high in price. In my personal opinion it seems to be well worth it! I believe that SurveyMonkey Apply is an excellent tool! We are making our offices more efficient by being able to streamline candidates and speed up the review process. "Great and easy tool "
Survey monkey is super easy to set up and distribute for information gathering especially for service-based organizations. I definitely use this on a day-to-day basis because it is not complicated and time consuming to set up. I don’t dislike anything about the product. Arguably google offers an easier product if you’re suite of tools is google centric. It’s an easy tool, there isn’t a lot to mess with that makes it a frustrating experience. Market research and identifying what are consumers think of us. This lets us know what we need to improve on for our customers as well discovery of what we can do to create a competitive advantage. "Easy to use solution with limited functions"
I like the ease of creating surveys with Survey Monkey. It's very basic but easy to use. It depends on the paid plan that you are using, but with the basic tiers there is limited branding that you can change. I like being able to receive feedback from our customers through the SurveyMonkey forms. It is nice that it can easily be inserted into our Hubspot workflows and automized. Easy dashboard to navigate, saving a lot of time and paper work. "Test the Waters,with Survey Monkey "
I like the fact that you can use this to get feedback from team members and colleagues,in order to make informed decisions. Nothing really.It was very easy to use.It was shorter and easier than I thought . On two occasions ,people within our organization needed to make decisions that would effect everyone .A quick survey was the way to go. "Easy to use for entire company"
The ease of use for multiple departments within our organization. The template formats help to create brand consistency. I dislike that you have to purchase more of the advanced features. We are a non-profit organization so often times these ad-ons that we would love to use are not in the budget for us. Lower pricing strategies, or trial periods to get buy-in. We solve many problems through the feedback in this survey. For our annual conference for example, we issue two different targeted surveys to attendees and non-registrants to get feedback to help shape future conferences. I do not have any issues with Survey Monkey, I have not had any negative experiences. They are a great partner. I would recommend to anyone who needs their services. There are many survey question options to select from, depending on what you are trying to learn. The set up/design of the survey (if you arent using a template) is very easy and intuitive. We have used Survey Monkey for years to collect satisfaction data on customers, our clients, and our employees. Our data analytics team is very happy with SM and continue to use it to this day. We are able to transform the survey results into insights on our tableau dashboard. Pricing is a bit much, I would prefer if it was much lower. Give it a shot, more than likely it will help you in the long run. One solution for all applicants. The system is secure, with granular, role-based permissions versus other systems that do not provide the same quality measures. "Simple, Effective and Great Customer Service"
Working with the implementation team was a breeze and exceeded my expectations for a new program. I wish I brought this to my team much sooner. Automating five different applications for scholarships from various organizations with five unique processes and requirements. "answer question through application about a job event"
They can be a little outdated maybe get a more modern look would be nice. It's very easy to use and I enjoy it a lot, I highly recommend this for those in the education department. So easy to use and you can track your results quickly and precisely. I would love to know identities of respondents however I realize if that happened you may lose integrity of results and I would rather have that. Allows us to know what our customers want. The results help us make decisions to better meet customer’s needs. "Super easy to use and set up"
Training surveys and identification of learning issues. We receive great feedback on it. "The best tool for application management." Seamlessly collect and review applications. We spend our time focusing on what matters most. Work with a true partner. Improved application and nomination experience. Created a faster and efficient review process for all programs. There are some areas which need improvements. "Used it for years and it still works"
Feels like it could evolve more and have more options for customization going forward. Usually for research and opinions of customers/potential customers. It can also be helpful for gathering opinions for new product/service ideas. "Great 'fit for purpose' SurveyMonkey offering"
Its 'fit for purpose' and does what it is best intended to - no more, no less. "Great for streamlining the hiring process"
The ability to streamline and narrow down application to qualified applicants. The pricing is a mostly steep. It would not be affordable to most businesses. It allowed me to choose applications based on their experience and qualifications best matched to the job description. The ease of use is not only beneficial for those creating the survey; but those using the survey. There could be an added bonus of adding more graphics to create visual appeal. Understanding my target market more in other demographics. The Surveymonkey apply is an excellent tool for customizable surveys, sample selection and data presentation tools. I don't find anything missing on the service point of view. Customer feedback is important to us, so we getting that. Ease to set up a survey and send to multiple email addresses. Standard plans are pricier and has less features compared to annual plans. Currently I am testing the product and seeing if it is the right fit. It's easy to use and I never have to spend extra time fiddling with settings. I really don't have a specific thing that I dislike. I have done lots of surveys for data collection. "Easy to use, efficient. So convenient." The streamlined efficiency of the software. Even someone with no background in IT can use it. I find the font, display, and design too informal. It fulfills all my assessment and evaluation needs. I do not have anything I dislike about this platform. * We monitor all SurveyMonkey Apply reviews to prevent fraudulent reviews and keep review quality high. We do not post reviews by company employees or direct competitors. Validated reviews require the user to submit a screenshot of the product containing their user ID, in order to verify a user is an actual user of the product. Hi there! Are you looking to implement a solution like SurveyMonkey Apply?